bilingual picture books | Ayo! Let's go! Michelle Dudley, the Australian author of the Our Jakarta Series that was reviewed in an earlier post, graciously agreed to answer my questions about how her series of 30 books came about. What inspired you to write the Our Jakarta Series? Had you written other books before (or since)? I taught at the British International School Jakarta (BIS) in their very first pre-school in 1993 and 1994 and again from 2003 to 2007, initially part time, then full time in Reception and in Pre-School. The school has a strong focus on early literacy and as a teacher of young children I was always trying to find ways to inspire, challenge and connect real life experiences and the printed word with the young children from many nationalities in my class. The school also had a policy whereby the classroom teacher had to listen to each child read every single day. I did this religiously and found that the children were often having difficulty connecting with the British, US and Australian based early readers their own lives in Jakarta. 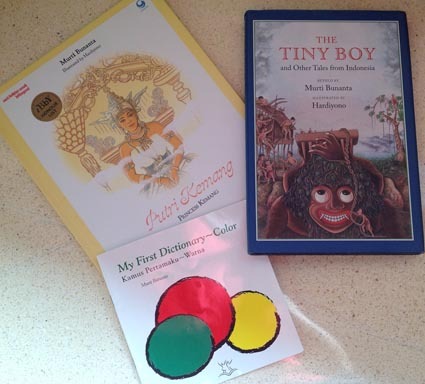 My youngest child was in Reception at the time so I would listen to her read at night as well (even as an Australian she too could not relate to many of the books on offer) so I became constantly aware of the gap in the market of quality early readers based on life in Indonesia. I distinctly remember listening to a four-year-old Singaporean girl living in a high rise inner city apartment struggling through a book about an outback sheep farm in Australia. I asked her if she had been to a farm, had she seen a sheep, had she been to a country town and did she like this story or any stories in the reader box. ‘No’ was the definitive answer to all my questions. I asked her what she liked to do on the weekend, the answer was: play with my nanny, go shopping, go to birthday parties, go to swimming lessons and go to the hair salon. I think that was my ‘light bulb’ moment as I realised practically all the children in the class did the same things on the weekends and their young lives were not being reflected in any shape or form by the literature available. Research into early reading success constantly reiterates the importance of making text relevant to the lives of young readers and at the time I really felt I could not achieve that with the early years literature available. Because of this, I began to write and use my own handmade books as readers based on the children’s experiences living in Jakarta. At the time BIS offered several bursaries to teachers who had an idea to improve the school curriculum in some way. I won US$1,000 to develop my idea for a series of books. Initially I decided just to print a few sets using my own photos and the local photocopying store to add to the class collection. However, many teachers and parents became interested as they could see the children were fascinated to see places that they could recognise and relate to in the books; and consequently their reading confidence and progress increased rapidly. 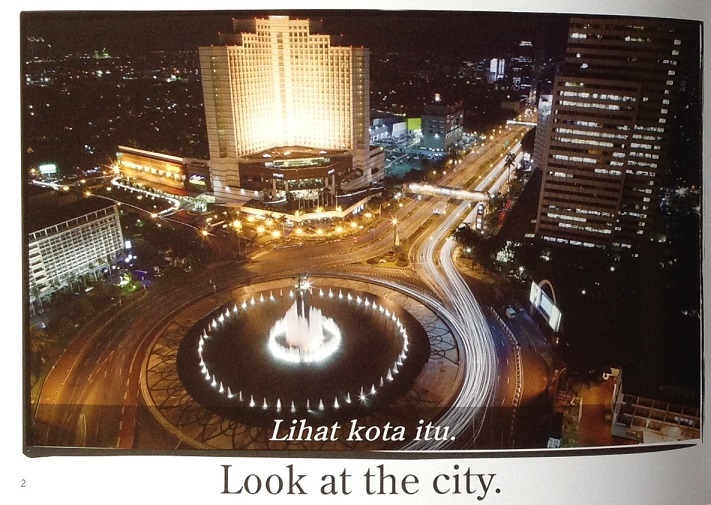 I realised that perhaps there may be a market in Jakarta and beyond to sell the books commercially. At this point my wonderful Indonesian friend Wiwied Subowo stepped in and offered to print and publish my books for me through her publishing company PT Kinar Media. Suddenly my little handmade books needed to be more professional so I hired professional photographers Deviana and Oetomo and graphic designer Dita from Zige & Baffel to help with the layout and production. Copyright laws prevent authors from using photos from the internet so every photo for the books was taken by the photographers and myself. I had a notebook in the back of the car and on our way to school my daughter and I would spend a lot of time looking out the window and jotting down ideas for different titles for the series. I based the series on the English Key High Frequency Words (those words that occur often in English) and used them repetitively in individual books for effect and to aid memory. I drew all my inspiration from the children in my class and my own daughter. Writing simple books that appeal to early learners is actually harder than it looks and the process took months and months. I was teaching full time and spent hundreds of hours with the graphic designer positioning text and pictures in the best possible way for early learners. 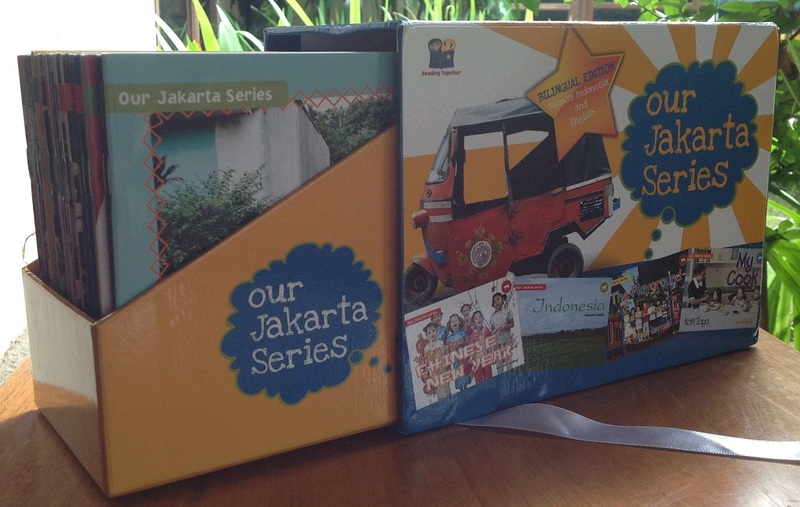 The Our Jakarta Series, English and bilingual versions, are the only books I have published. 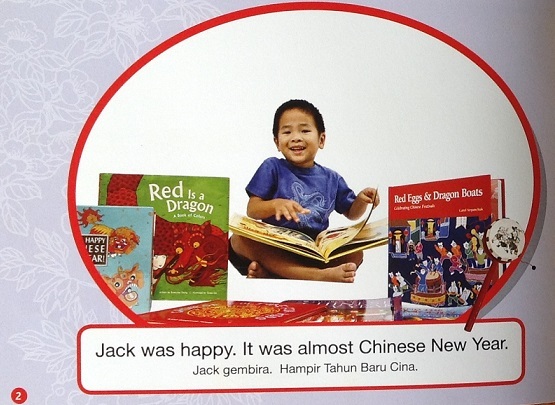 You’ve lived in many countries (at least four by my count), why did you decide to write children’s books in Indonesia? Have you thought about writing books about Myanmar? I first travelled and taught in the Philippines on a university exchange for six weeks back in 1981 and was completely mesmerised by the country. This small taste of South East Asia ignited my travel bug! I then spent two years in 1983 and 1984 in Rabaul, Papua New Guinea teaching Kindergarten in a Catholic mission school which I loved. After I got married we moved to four different states in Australia and spent seven years in Indonesia on two different postings, three years in Bangkok, Thailand and are currently in our second year in Yangon, Myanmar. In Thailand, I taught in the slum community of Din Daeng at the Good Shepherd Centre and completed dozens of handmade books for children in the Day Care Centre relating to their particular lives and circumstances. I taught English to adult women here as well and used homemade books with them as an English resource. I thought about publishing a series in Thailand and Myanmar but the cost was prohibitive so I decided to concentrate on printing the bilingual edition of Our Jakarta Series. What shaped your decision to publish originally in English and then republish in English and Indonesian? During the process of creating the books I was advised to make the books bilingual but I really wanted to create a set of English readers on life in Indonesia (without the distraction of the Bahasa text) as I felt there was a huge gap in the market. 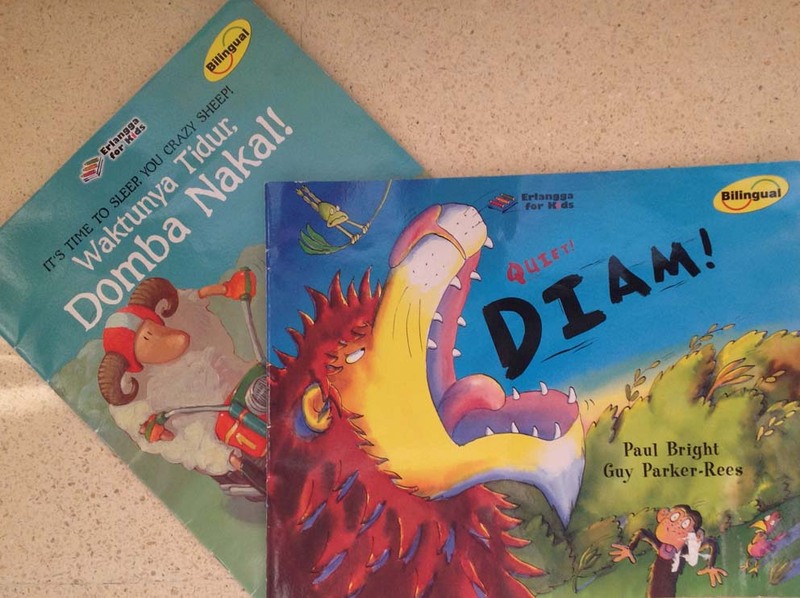 After some market research on returning to Canberra and teaching Indonesian myself from Kindergarten to Year 2, I realised that there was almost a bigger gap in the market for bilingual early readers. During our posting to Bangkok I decided to create the bilingual version so we could access a high-quality Thai printer capable of re-creating the box and the colour quality in the photos. What has the reception been to your books in Indonesia and Australia? The books have been very well received in both countries. I finished the English version in Jakarta just two weeks before we finished our time in Indonesia in December 2007 so would have liked to have been there a bit longer to promote them around the country at international schools. My friend Wiwied did a wonderful job however, promoting them for me and selling them in her book shop Toko Kinar in Dharmawangsa Square in Jakarta. I also participated in an interview with ABC Radio National in 2008. This generated a lot of interest from teachers. 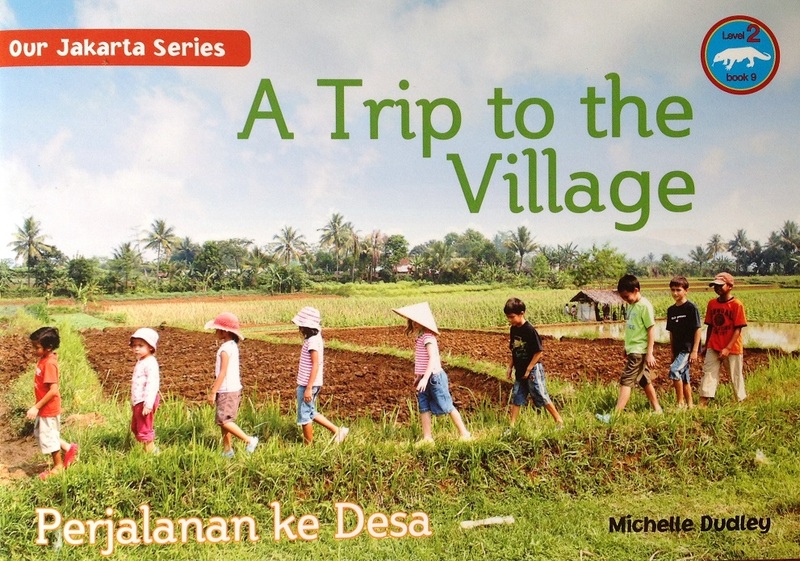 I was invited to participate in a workshop for LOTE teachers through the Department of Education in Canberra in 2008 on how to use the books (English version) in the classroom to generate interest and awareness of Indonesia through the eyes of a child. 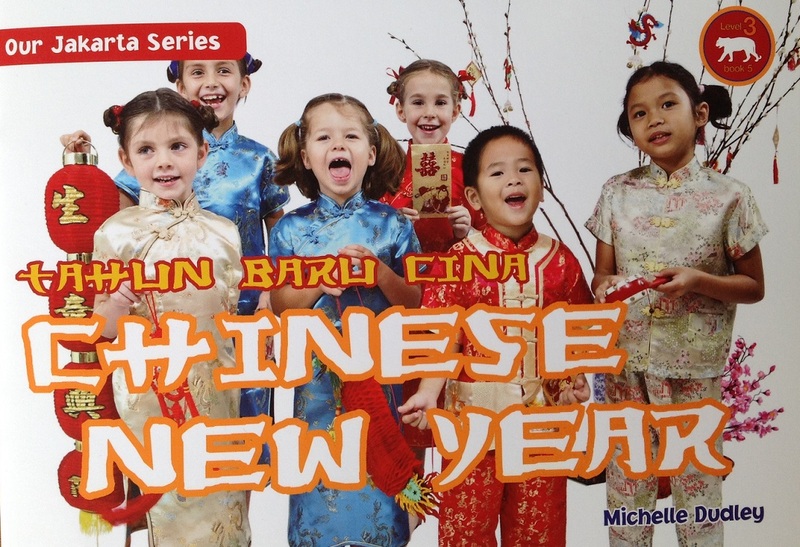 As Australia moves into the Asian Century I really believe that early exposure to Indonesian language and culture at the pre-school level is the key to igniting interest in Indonesia our closest neighbour. Do you find it is schools or families purchasing them? Indonesian is not a widely taught language outside of Australia and its home country. Are there people outside of these two countries that are reading your books? In Australia, schools are the purchasers of the English version as the books are only available in a set. Many schools have added them to the daily reader collection giving Australian children an opportunity to glimpse snippets of life in Indonesia. 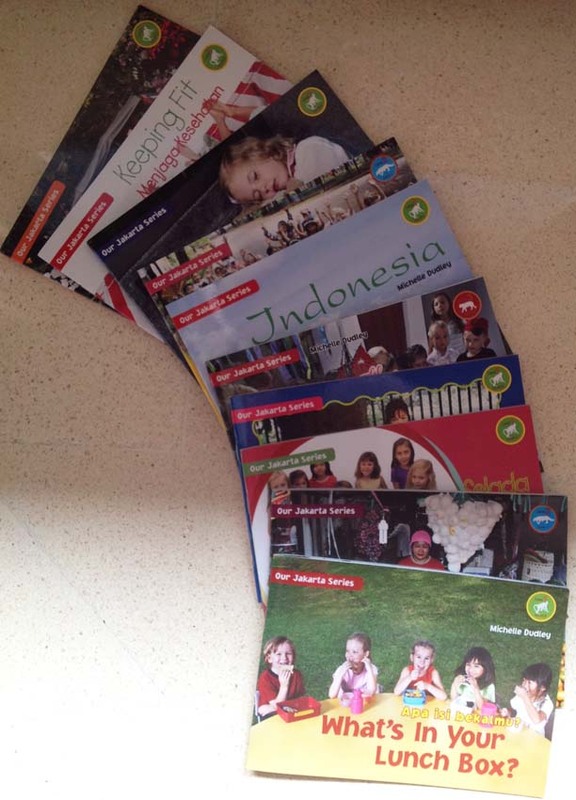 In Indonesia, the English version books are available for sale individually so both schools and families have purchased the books. Teachers from Indonesia, Thailand and Singapore have contacted me to say how much they liked the English version. Each bilingual book has a new ISBN number which now allows them to be sold individually in Australia. The bilingual version has been very popular with parents of young children. Because the books are predictable and colourful, young children are successful in their early attempts at reading a beginning bilingual book. The books are available on Google Books, AbeBooks.com and through the Asia Bookroom in Canberra. Could you tell us about the challenges of getting published in Indonesia? It’s an enormous project with 30 separate books requiring different photo shoots, different design, and all requiring a lot of quality control. How long did it take and what kept you going when you hit obstacles along the way? As mentioned earlier it was a massive undertaking of team work involving my entire family – husband, three sons (proof readers) and daughter plus a small army of friends, nannies, teachers, school principal, drivers, housekeepers, work colleagues, local businesses – pretty much everyone I knew in Jakarta was involved in some way in the production of the books. I had a great network of friends who would rise to occasion and come to photo shoots with their children in tow with props, appropriate clothing and costumes. Occasionally some children would feel nervous when they saw the photographer’s huge lights, umbrellas, cameras and equipment set up in the foyer of our house, however my main photographer Devi was brilliant with children (she has four of her own) and made all the children feel at ease by explaining how the camera and lights worked and bringing out puppets and soft toys to make the children laugh. My graphic designer Dita was incredibly meticulous and creative in making the individual books look good and flow well. We had an understanding from the start that the printed font/text must be clear and in lower case, everything had to be concise and educational first and foremost with no reference in photos to soft drink, beer, junk food, cigarettes or Disney characters and that design could not dominate the educational focus. Dita and I sat side-by-side till midnight most nights for nearly two years perfecting each book. The bilingual books were made while I was living in Bangkok and communicating with Dita the graphic designer in Jakarta, my friend and translator Arika in Canberra and the Thai printing company all by email so it was a delicate balancing act once again. When things got difficult and there were many, many obstacles I would always think of the end and the joy of finishing! I guess I’m determined, calm, driven and resilient – so I just keep persevering. What has been the most unexpected pleasure you have found while living overseas in different countries? What has been the hardest? I honestly see living overseas as a great privilege. Getting a tiny glimpse and a small understanding into a different culture, religion, language and way of life continually fascinates me. The hardest thing for me is missing my children and extended family back in Australia. My mother passed away two years ago so traveling back and forth to Australia trying to balance family commitments is always a challenge. We do miss Australia’s blue skies, tap water, fresh air and the smell of the eucalyptus trees too. What keeps you busy in Yangon? Last year I completed my Masters in Education (Early Childhood) by correspondence so I spent many hours researching and studying while here in Yangon. I’m also involved with the Defence Attache Community here and will start teaching English voluntarily in a Yangon orphanage in March. It is an amazing time to be here in Yangon as the country is changing before our eyes. We plan on returning to Old Bagan and Lake Inlay this year and venturing to the hill tribes in Shan State later in the year. I also travel back and forth to Australia up to five times a year to see our children, three at university and one in boarding school – so I clock up a huge amount of airline miles. In contrast to the books in the previous post, the following books were published first in Indonesia though not all were written in Indonesian. Despite its publisher having an English name (Great! Publisher) Petualangan Anak Indonesia is currently published only in Indonesian, though (just to confuse you) the author is Australian. Its English title is Indoventurers and there is an English version that the author Nicholas Mark has offered to email upon request. He has also developed a Teacher’s Guide and worksheets. 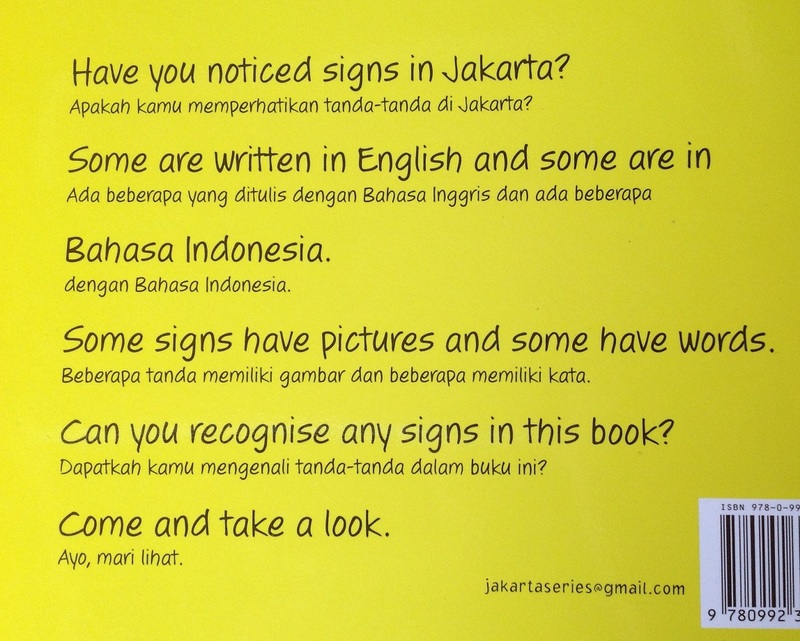 This book is much longer and is for more advanced readers of Indonesian. Along with plenty of action in the three separate stories and the vivid illustrations, the book has plenty of local content. The Monkey Forest in Ubud is featured in the Bali story and Borobodur is featured in the Yogyakarta story where the race is on to save the city from an eruption from Mount Merapi. There is also a story set in Sumatra. All three are fantasy stories set somewhere in the realm, or fringe, of Indonesian myth, making them an interesting read. Apart from the fantasy elements, the stories are set in contemporary Indonesia and portray familiar characters and scenes. Another interesting note is that the author wrote it while on a university exchange in Yogyakarta when his story written for an assignment caught the interest of a local publisher. The Sea Garden Series of books by Papa Ine is in two languages with the stated aim of helping Indonesian children learn English. Unfortunately, the translation from Indonesian has not been very successful and the poor English badly lets down the books. The books have very bright and engaging illustrations and all the characters are animals that can be found in Indonesian waters. I was interested to see a sun fish character, not often seen in children’s stories. Some of the names are based on Indonesian words, such as Kepit being the name for the crab character (kepiting). Murti Bunanta is an institution in the world of children’s books in Indonesia. She has written more than 30 books and has received many awards. Many of her books are Indonesian folk tales such as Princess Kemang (Putri Kemang), a folktale from Bengkulu. This is a lovely example of a bilingual book. It features beautiful illustrations from Hardiyono and a story of the adventures of a princess set in some mythical time in Indonesian history. It is quite long but I do like this story for several reasons, one of which is that the main character is a princess who is independent and very physically capable and ends up choosing her own husband. The English translation is also very good, thanks to Margaret Mead MacDonald, herself a well-known author and storyteller, who was the English language consultant on the book. Plus the illustrations make it a delight to read. The Tiny Boy and other tales from Indonesia is not a bilingual book but I included it as another example of Murti Bunanta’s work. This has been published by Groundwood in the US and is a beautiful book, also with illustrations by Hardiyono. Another book she published locally is My first dictionary – colour, published by the Murti Bunanta Foundation and illustrated by Aldriana A. Amir. With only nine colours, it’s not quite long enough to be a stand-alone book and may have been better sold with the others in the First Dictionary series. Another 21 titles by Murti Bunanta are listed in the back. 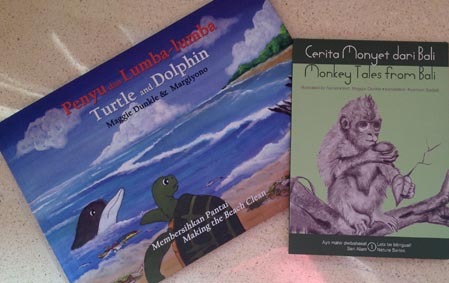 Cerita Monyet dari Bali – Monkey Tales from Bali is by Maggie Dunkle, an Australian children’s author who lived several years in Bali until she passed away in 2012. This is set in the Ubud Monkey Forest and I really like the story of the family of monkeys and the simple black and white illustrations by Asroel. It is aimed at beginner readers and the way the words are arranged on the page. The Indonesian translation below each phrase makes it easy to follow the translation. Maggie Dunkle also wrote Penyu dan Lumba-Lumba, Turtle and Dolphin, a book in the Clean Bali Series (there is one other in the series). In this book the animals worry about the rubbish in their oceans and on their beaches and are then surprised when they witness a group of children cleaning up a beach. It is a book in three languages as it includes Balinese. The illustrations by Margiyono are colourful and the message is a good one, but it is not a book I read over and over. 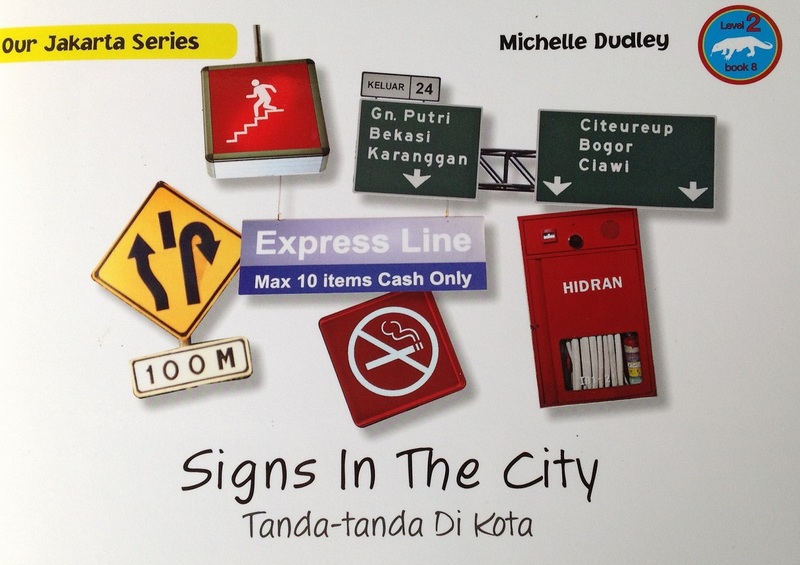 Our Jakarta Series is a set of 30 early readers written by Australian teacher Michelle Dudley while she was living in Jakarta. Originally only in English, they have been translated and published as bilingual books. The series consists of 10 books in each of the three levels. One of these was the very first book my five-year-old son read in Indonesian. Initially I wasn’t sure what to make of titles like My Driver and My Cook. But after thinking about it, it makes sense to have these books for expat children. Reading them with my children while we are living in Indonesia works fine. If we were reading them in Australia having never lived in Indonesia, some might feel a little out of place but the majority would be perfect for young children wherever they may live. 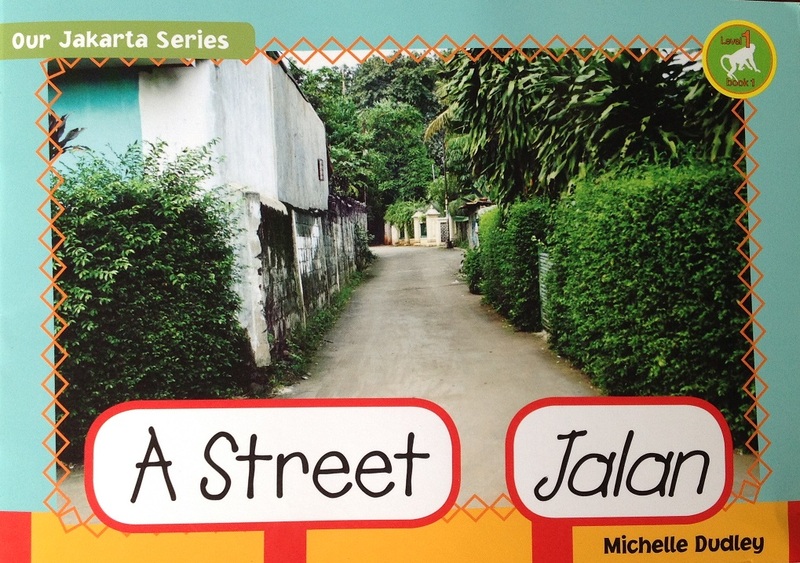 Overall they give a good look at life in Jakarta through the eyes of a small expat child. The Car Trip is something Jakartan residents know all too well. What’s in my Lunchbook is cute and shows the variety of cultures at an international school through the contents of kids’ lunchboxes. It’s wonderful to live in Indonesia and be able to pick up a new bilingual book at a bookshop whenever the mood takes me. 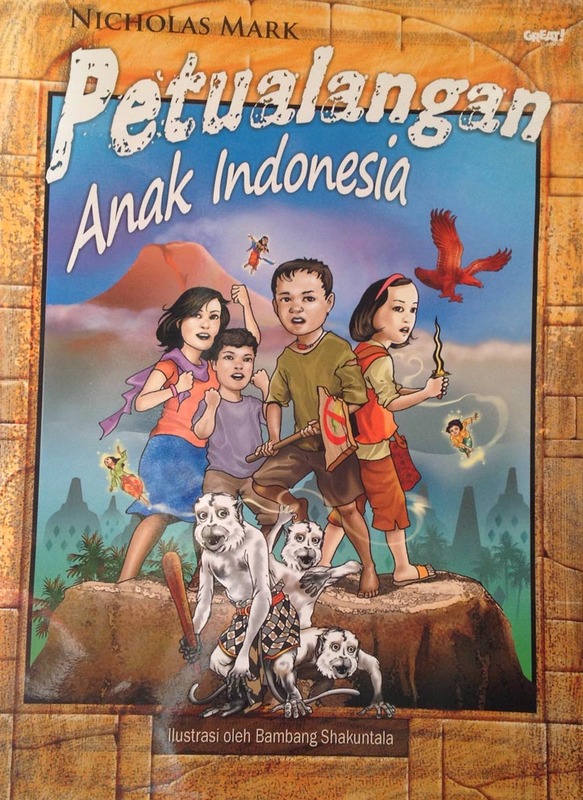 It’s not that easy, however, to find quality books where the English is correct, the story is interesting to both the children and me, and, one of the more important points, has some Indonesian context. To start with, let’s take a look at some of the popular examples of bilingual books. One series of good quality bilingual books come from Erlangga for Kids and includes Go to Sleep You Crazy Sheep, and Quiet! As they were written in English the language in English is impeccable and the Indonesian translation seems very good. Unfortunately, the rhyme of the You Crazy Sheep is not able to be carried across, making it nicer to be read in English. Published by Erlangga for Kids and first published by Little Tiger Press in the UK. 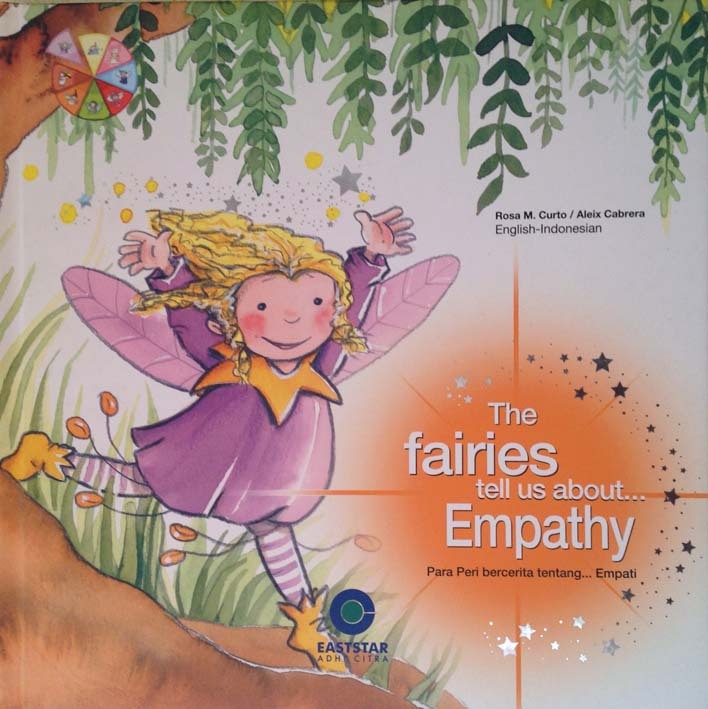 The Fairies tell us about Empathy is part of another series which is similar but it seems the original language for the story was Spanish which possibly makes the Indonesian a translation of the English translation. The English feels a little clunky though it is nice to see a children’s book trying to tackle a difficult but important concept like empathy. Published by Eaststar Adhi Citra (first published in Spain by Gemser Publications). Dora the Explorer along with many, many other TV characters have made their way into Indonesian language and bilingual books for children. Dora is an interesting example as, while it restricts the Indonesian translation to mostly Indonesian, it still introduces a few Spanish words. So you end up with things like ‘Hola! Namaku Dora.’ The language used seems pretty spot on. If you had a Dora DVD that could play in Indonesian this could help reinforce some of the terms used, eg. Rancel for Backpack. Dora is published by PT Citra Sastra Media in Indonesia. So far these are nothing out of the ordinary as they are all books you could find in plenty of countries that have simply been been translated into Indonesian. 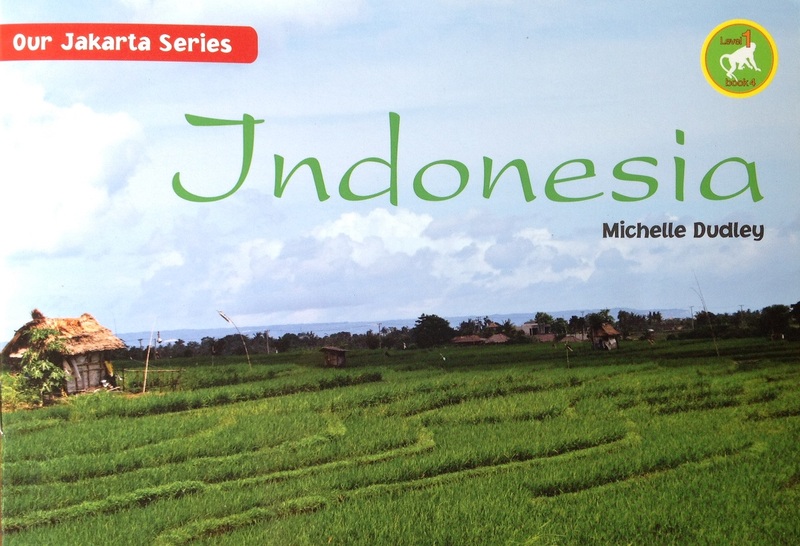 Where it gets interesting is when we look at books published first in Indonesia. You’ll see a big range of subject matter and quality in my next post. All the books reviewed here were found in Ganesha Bookshops or Gramedia.